For three days last September, the Omni Electrical and Lighting team, together with YIC Central Visayas Corp. (YIC-CVC), the company’s official distributor in Central and Eastern Visayas, visited the province of Bohol and Cebu to meet the companies and individuals championing the hardware sector and electrical industry in the region. Hardware store owners, electricians, contractors, and many more attended the events held at Tagbilaran City and Cebu City, respectively, from Sept. 19th – 21st. Omni team with Bohol guests. With Cebu guests (Day 1). Omni team with Cebu guests (Day 2). 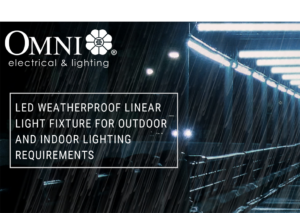 The second leg of Omni’s series of provincial events (first of which was organized in Bacolod City), the gathering’s aim was to re-introduce Omni products to its customers and to learn about their challenges when it comes to electric and lighting, at the same time. Ms. Rosalinda “Mhuy” Co, YIC-CVC manager, opened the three events with her warm welcome remarks, followed by Mr. Norman Campoy, Omni national sales and marketing manager, who shared the history of the company and introduced the brand’s various product lines. Mr. Lemuel Perez then presented the different products, sharing not only their features but also some key insights into the benefits of using Omni’s safe and high-quality products. The team also brought various products to allow the guests to scrutinize and inspect their materials and designs. Ms. Mhuy Co welcomes guests during the Cebu event. Guests check out the various Omni products on display. 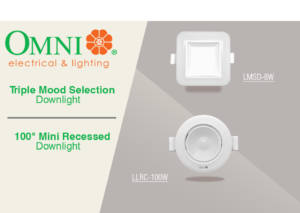 Ms. Lemuel Perez presents Omni’s LED product lines. Mr. Campoy introduces Yatai International Corp. and Omni Electrical and Lighting to the Boholanos. Once again, the event proved to be very fruitful and enjoyable for our team as we were able to get to know our end-users and learn what matters most to them when it comes to electrical and lighting. From Omni Electrical and Lighting and YIC-CVC, we want to thank everyone who took their time and joined us in Bohol and Cebu. We all look forward to seeing you again!